The spirit of Bob Marley was alive on Friday night at the St. Kitts Music Festival, as the reggae icons son, Damian Marley, delivered a superb two hour performance in front of a massive crowd that MiyVue.com estimated to have swollen to approximately 6,000, after a steady growth throughout the night. 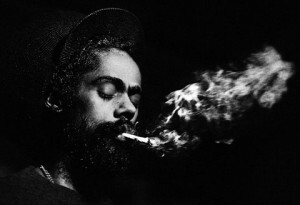 Damian Marley proved why his family is still revered as the royal family of reggae music. He obviously understood the thirst of the ardent fans, (many who flocked the front stage area), delivering successive tunes that all seemed like crowd favourites. Damian Jr. Gong Marley lived up to the hype of being the headline artiste of the evening, rolling out many of his popular songs which included Beautiful and Road to Zion. It was a scintillating two hour performance that also revived memories of Brother Bob, when Damian introduced a few of his fathers more popular selections, such as Could you be Loved. Friday night at the St. Kitts Music Festival, which traditionally has been called, Reggae Night, again proved that this is a winning formula for the event, as it was able to draw one of the largest crowds seen at the annual affair. It was an audience richly blended with visitors and residents, including the usual large pool of members of the Rastafarian faith, who could always be counted on to show support, especially for the more rootsy type of artistes. It was therefore fitting for the audience to demand an encore, despite the late hour of 4:00am. Marleys return was punctuated with applause as he belted out another hit tune, Welcome to Jamrock.